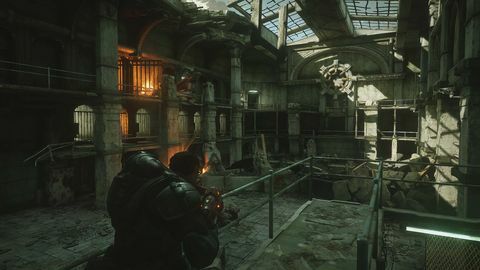 Matt talks with The Coalition studio head Rod Fergusson about the challenges his studio faced in rebuilding Gears of War for Xbox One. Q: When did the idea for a Gears 1 re-release start gathering steam? Rod Fergusson: It really started when I started [back at what would become The Coalition]. I started in January 2014, and it was one of the first discussions we had. 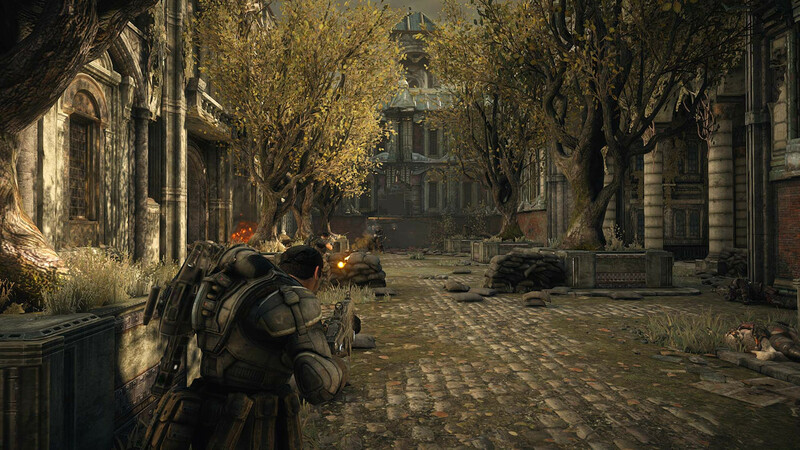 We knew we had to move on and create the next game in Gears of War 4, but that was going to take three years to create, and we didn’t wanna wait that long to get something in the hands of the community and the fans. So, what could we do? That’s when the idea of remastering one of the games came up. We felt that doing something recent didn’t make a lot of sense, so why not go with the oldest one? We saw it as a potential on-ramp back into the franchise for people, especially because people don’t keep up with trilogies a lot of times. I talked with fans when I was making Gears 3 that had started with Gears 2 just because when they logged in, on their friends list everybody was playing Gears 2. They didn’t go back and start over. When we talked about it more, we realised it was a really great way to train up the team. Going through and having to dissect and reverse-engineer Gears 1 meant there was kind of a boot camp for them to look at cover placement, combat distances, how to spawn in enemies, how to lead players through environments, and all those sorts of things. It became a great quick way to get people ramped up for Gears 4. Q: At what point did you realise Ultimate Edition would be more or less a complete rebuild rather than quote-unquote simpler texture upgrade? Rod Fergusson: As we started digging into it and had to make some technological decisions like which engine to ship on, there was enough passion on the team to be able to go at it full force. We wanted to do it justice, not just slap a coat of paint on it. We brought the full team to bear on it, and that was about getting to do the cinematics from scratch, and going through and replacing almost 3000 art assets. There’s another thing too: this is the first game The Coalition has put out, and we wanted to have our name on something that we feel is quality. The video game industry is all about about reputation, so you don’t wanna mess up your credibility with the fans, so it was ‘let’s put a proper effort into it’. Q: Can you briefly outline what was involved – what remains of the original and what did you remake? Rod Fergusson: We had a major fork in the decision tree which was: do you stay with the old simulation which was on Unreal Engine 3 and try to improve that engine and build on top of that, or do you take the newer engine in Unreal Engine 4 and try to recreate the game? We felt like people wanted to play the original game not a likeness of the original game, so we decided to stick with Unreal Engine 3, and build on top of that. We had to go through and completely upgrade the rendering tech and the lighting tech, and how you deal with physical materials in the world. 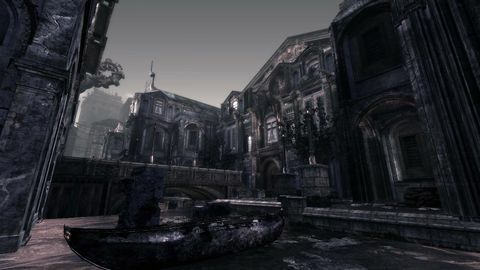 Basically, we were porting Unreal Engine 4 rendering features, and things from Gears of War 3 and Judgement back into this engine so it could feel like a contemporary game. Then you look at what it takes for multiplayer these days. At that time we had peer-based multiplayer, and nowadays people expect party-based matchmaking and skill-based matching. They expect dedicated servers, and 60 frames per second. So we had to drive really hard to put all that technology in. it wasn’t a matter of just using the Gears 3 code, because this is now Xbox One, and so the APIs and platform support for all those features is completely different. This was all new code. That’s why you saw us do a beta at E3 – because we had brand new multiplayer that hadn’t been out there. We wanted to make sure before launch that we felt pretty confident in it. So that’s the technology, and then there’s the content side, which was taking the audio to 7.1. We decided to not change the voices, so even if some takes we didn’t particularly like, we were going to leave them because that’s part of the character of the game. But we went back in there and did the foley and remastered the soundtrack. Then we went through and took basically every art asset and changed ‘em all. Q: Judgment’s multiplayer seemed very much designed for e-sports. Do you think Ultimate Edition will make an impact in the competitive scene? Rod Fergusson: We’re hoping so. We want to use it as a test case. At the announcement we talked about or partnerships with ESL, Twitch, and Xbox to bring Ultimate Edition to the e-sports scene. So it really is a crawl before we walk perspective. So for us it’s a learning opportunity to take Ultimate Edition to the e-sports scene and find how to work with partners and what the community wants. In the past that wasn’t our priority. We still have a focus on accessibility, but we recognise the value of e-sports in a long-term franchise plan, so this is us testing the waters. 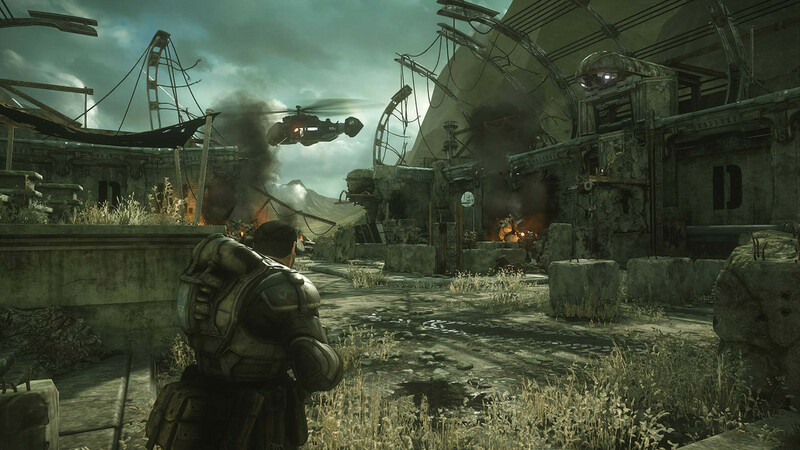 Q: How many copies does Ultimate Edition need to sell for you to consider giving Gears of War 2 similar treatment? I need that version of horde mode back in my life. Rod Fergusson: [Laughs] Well fortunately with backwards compatibility you’ll be able to play Gears 2 on your Xbox One in November. That’s one of the things that I think is a big variable when you think of remastering: does the appetite change now that back compat allows for Gears 1, 2, 3, and Judgment to be available on Xbox One? Will that scratch your itch for Horde on Xbox One, or do you want a much higher visual one with all the upgrades? We’re coming next year with Gears 4 too, so perhaps people will care more about the future than going backwards. Q: Cliff Bleszinski tweeted a number of Gears facts out this week. Can you share one of your own stories from around the time of Gears 1’s creation? 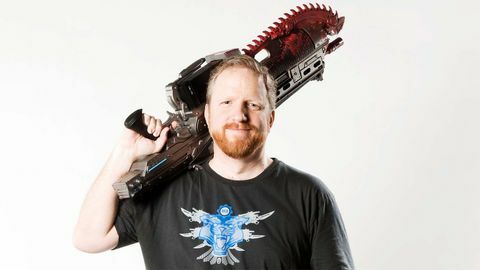 Rod Fergusson: Gears of War started out as codename ‘Warfare’ and was supposed to be a Battlefield competitor. It was meant to have a high player count and a large battlefield with vehicles. They were basically trying to find a way to take onslaught from Unreal Tournament and find a way to compete with Battlefield. That was the genesis of the game. Then [Epic Games lead designer] Lee Perry brought Killswitch to Cliff and that was when they realised they wanted to switch to a narrative cover-based shooter. Q: You spent some time away from the Gears franchise recently. What was it that brought you back to Black Tusk/what would eventually become The Coalition? Rod Fergusson: The old adage is ‘absence makes the heart grow fonder’, right? When I left Epic, it was not the company I went to work for. It was a company was now focussed on free-to-play experiences rather than triple-A experiences, and I didn’t feel like that was a thing I wanted to pursue. So I left Epic looking for another triple-A experience that would allow me to have the kind of experience I had building Gears 1 through 3. So I spent some time at Irrational shipping BioShock Infinite, and I spent some time at 2K and not finding it. 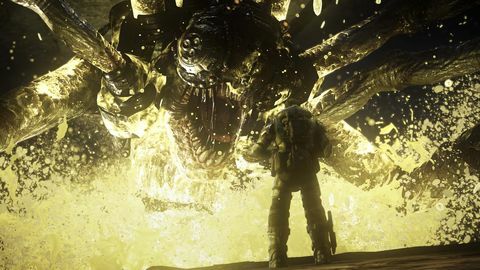 It was one of those things where it was like, ‘Huh, that was a really unique time and unique place, I don’t know if I’m ever gonna find that kind of opportunity again.’ It was around that time that I found Microsoft had bought Gears of War and they reached out to me and I was, ‘Hell yes I’ll go back and work on Gears of War!’ It’s my favourite franchise to play and to build, so why wouldn’t I do that? When I left Epic I wasn’t leaving Gears, I could make Gears games forever. It was more about what the company was becoming, rather than me leaving behind the work that I had done. Q: Can you tell us anything about Gears 4? Rod Fergusson: Not yet. Right now we’re talking Ultimate Edition, and once that calms down we’ll ramp up the interest in Gears 4. One thing we have talked about is: we named the female in the trailer and her name is Kate. 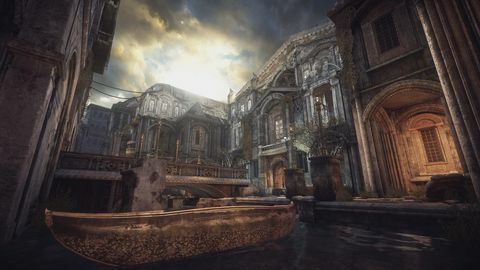 The teaser was really about mood and tone, it wasn’t meant to be ‘Here’s all the new gameplay, here’s how it’s so much different from all the other Gears.’ That wasn’t our intent, our intent was to show a sense of mood and tone. 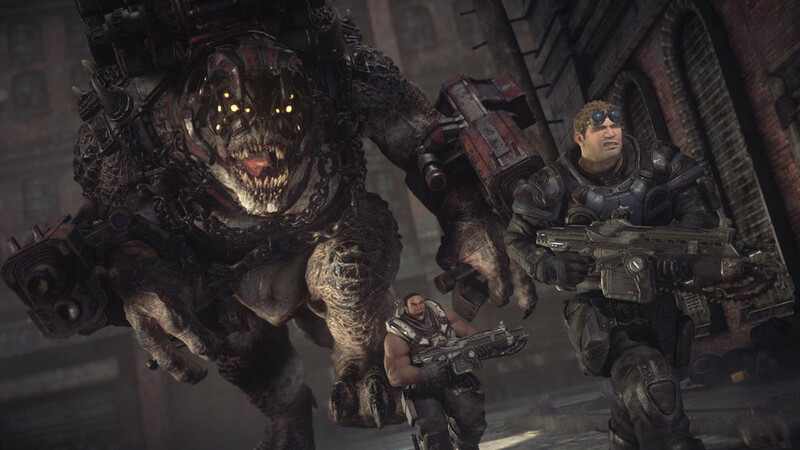 We’ve heard all along that people want us to harken back to Gears 1. They enjoyed the time in the franchise when the game was full of mystery and suspense, and the nightmares in the dark and the monsters under your bed feeling. As opposed to by the time you get to Gears 3, you’ve been living with the locust a long time, and they start to feel like a World War II enemy. So, what you should take from that tease is that we heard the fans, and we’re taking it back to that time of mystery and tension.